A group of Asian American and Pacific Islander Christians who have recently formed a new group focusing on social justice issues has just announced plans to host a ground-breaking seminar to discuss the topic of gay Christians in the AAPI community. The Asian American Pacific Islander Christians for Social Justice (AAPICSJ) asked Pastor Melvin Fujikawa to speak at a gathering on Saturday, June 1, from 10 a.m. to 12 noon at the Japanese American Cultural and Community Center, 244 S. San Pedro St. (between Second and Third streets) in Little Tokyo. 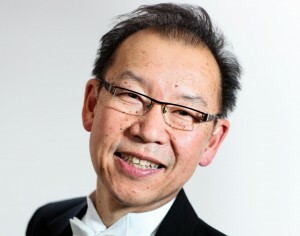 According to organizers, the 56-year-old Fujikawa grew up at Gardena Valley Baptist Church and has served as a minister at various levels for such local churches as Union Church in Little Tokyo and Evergreen Baptist Church of Los Angeles, and was most recently the senior pastor at Christian Layman Church in Berkeley. Interested people are asked to RSVP via email at [email protected] so that organizers can prepare logistics for the gathering. The group also has a Facebook event page.